Such a response is typical of some when they first hear of “region-building”–the coordinated effort to establish regional, geopolitical unions of nations throughout the world, patterned after the European Union and including one in North America, as an incremental step toward a global federation. In conversations with some who react in this manner, it seems they are surprised when this writer to an extent agrees with them: It is a ridiculous idea that will never be sustainable. However, that won’t be for lack of effort by delusional utopians bent on realizing their vision, nor will it be for a lack of blood and treasure they are squandering in an effort to make it happen. This conclusion was best described long ago in the Bible narrative. The Revelation foretells of a day when such a futile effort will take its last gasp: Just when it appears to have permanently achieved its vision, its utopian “freedom” is exposed as a rebellious, godless network of global oppression and is destroyed. Far from minimizing government regulation of markets, a “free trade area” simply emasculates participating nations’ sovereign regulatory authority over commerce and security at their borders, by subjugating it to even larger, unaccountable umbrella regulatory agencies with authority over commerce throughout an entire bloc of nations. 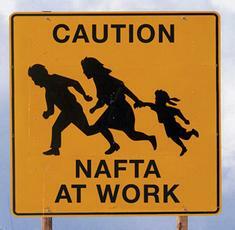 NAFTA tribunals are an example of this usurpation of national sovereignty. The “free trade” mantra argues that commerce should be more “efficient,” with a “free” market defined by the consumer’s ultimate right to determine an article’s price and transfer with any seller, unimpeded by government. But if that is a strict standard, it would follow that, on a local level, law enforcement officers should not intervene to stop transactions on a street corner involving stolen merchandise. Expanded globally, this absurdity would remove a nation’s authority to protect its truly free market, as it could allow the sale of imported knockoff products or those manufactured with slave labor. In such cases, “efficiency” should take a back seat to national security, since such products undermine free markets as they also are stolen merchandise–stolen from the labor of those who conceive, design or assemble them. 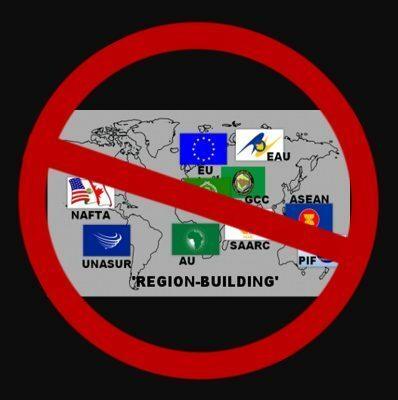 Under “free trade,” such activity might possibly be regulated against, but only by empowering an expansive umbrella jurisdiction, above national sovereignty and unaccountable to American voters. That is the inconsistency and hypocrisy of “free trade”: In the name of free commerce, it enlarges government. Derelict “free traders” in the U.S Congress need to be reminded that it is the job solely of Congress, not of unelected NAFTA tribunals, to “regulate commerce with foreign nations” (Article I, Section 8, U.S. Constitution). It is not hard to identify the “free trade” mantra’s “free flow” of people as including those millions who have illegally entered the U.S. across a border deliberately left open by “free trade” derelicts. Not only do the masses of illegal immigrants desire jobs, but many are receiving other benefits at the expense of American workers and taxpayers. High among these benefits is education. The “Dream Act” was aptly named–not for the children of illegal immigrants, but for the delusional “free trade” utopians who concocted this legislation. They saw it as an initial step in eventually harmonizing education access throughout North America, as part of a larger effort to harmonize commerce standards throughout the NAFTA region, to allow for more of this “free flow.” Students could then graduate into a “free flowing” labor force that continues downward pressure on American wages from the influx of illegal immigrants willing to work for little. North America (NAFTA): U.S. senator calls for integrated, powerful Western Hemisphere – Shanghai Daily (China), Feb 19, 2014 – Chairman of the Foreign Relations Committee of the U.S. Senate Robert Menendez on Tuesday called on countries of the Western Hemisphere to do more to make the region the strongest place in the 21st century…. The upcoming meeting of Mexican President Enrique Pena Nieto, U.S. President Barack Obama and Canadian Prime Minister Stephen Harper, is to celebrate the 20th Anniversary of the North American Free Trade Agreement (NAFTA), said the senator…. He made it clear that the regional integration will not only cover trading but also other areas such as education, science and technology, to ensure prosperity in the next 10 to 20 or 50 years. ‘Three Amigos’ agree on ‘trusted traveler’ program – USA Today, Feb 19, 2014 – North American leaders agreed Wednesday on creating a continent-wide “trusted traveler” program, allowing vetted individuals to cross borders quickly…. The leaders also agreed on measures to harmonize customs data, improve infrastructure and increase co-operation with Central America, a transit point for drugs moving north out of South America and a region rife with violence. More educational exchanges were also proposed: Obama said he wanted 100,000 Mexican students studying in the United States every year, up from less than 15,000 now, and more American students going to other parts of the Western Hemisphere. 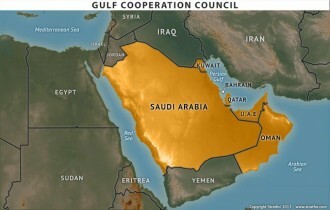 Gulf Cooperation Council (GCC): Bridge gap for Gulf Common Market – Gulf News (Dubai, UAE), Aug 23, 2012 – Each Gulf state needs to strengthen its efforts in extending the same facilities to nationals of other Gulf Cooperation Council (GCC) countries — be it investment, employment, education and property ownership as per the principles agreed to make the Gulf Common Market (GCM) a reality. 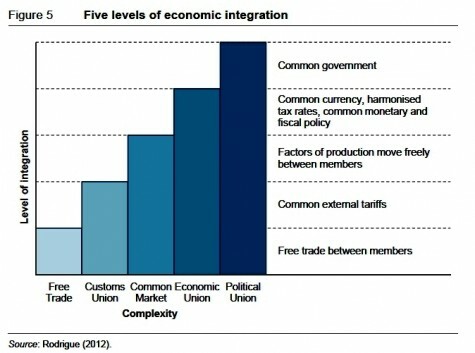 The six-member GCC has established the GCC Customs Union in 2003 and the GCM in 2008 as part of its quest to create the GCC Monetary Union. Although progress has been made to create a single European Union-type entity, the GCC countries also have a long way to go in achieving these goals. 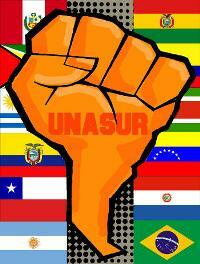 Union of South American Nations (UNASUR): UNASUR to introduce free movement of people within the region – TASS (Russia), Dec 5, 2014 – The Union of South American Nations (UNASUR) has prepared a concept for “South American citizenship,” which will let all people living on the continent to travel freely within the region, the organization’s head Ernesto Samper said at the Union’s summit on Thursday. ….The Union’s leader said the concept, which is similar to the Schengen zone in Europe, will be the first sop towards free movement of people within countries of the union. UNASUR and Latin American Regionalism – Council on Hemispheric Affairs, Sep 17, 2015 – Chávez called for a Bolivarian Revolution that sought to implement many of the goals originally espoused by Bolivar. Among them was the goal of regional integration based partly on the original concept of Bolivar in 1826 as well as the modern example of the European Union…. Some of the issues addressed by UNASUR include regional defense, social development, science and technology, finances, education and fighting drug trafficking…. The organization’s original name, South American Community of Nations, was changed in 2007 to the Union of South American Nations (UNASUR), highlighting the goal of regional integration socially, economically and politically. 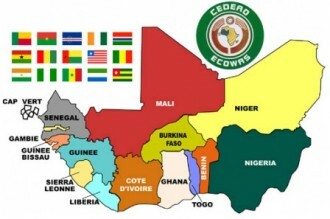 African Union – ECOWAS: ECOWAS moves to harmonise educational system – The Guardian (Nigeria), Sep 25, 2017 – “The training would cover from primary to tertiary education and we are also looking at how to standardise certification of degrees and curricula in the sub-region. The training will start with a seven-member nation pilot project, involving the teaching of 300 train-the-trainers professionals from every nation. 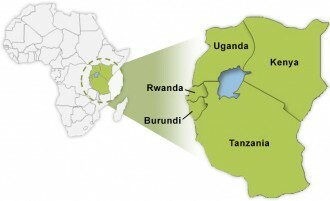 AU – East African Community (EAC): EAC seeks ‘common borders’ for education – The New Times (Rwanda), Oct 6, 2015 – The East African Community (EAC) is looking into the adoption of a common education protocol to ease movement of learners and teachers within the region…. In the EAQFHE, there are provisions including an East African credit system that incorporates a credit accumulation and transfer structure such that a student can accumulate credits in one institution and transfer them in another institution in any other EAC country. E African region to harmonise tuition fees next year – PIE News (Professionals in International Education, London, UK), Sep 20, 2017 – University students across the East African region will, from January next year, begin paying the same amount of tuition fees, in the first step towards the actualisation of the newly created East African Common Higher Education Area. 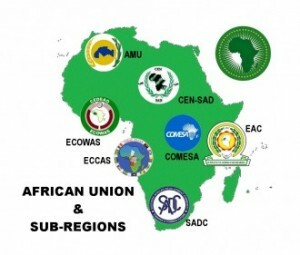 This move is in line with the framework for implementation of the Common Higher Education Area agreed upon by the six member countries of the EAC…. Benedict Mtasiwa, IUCEA chief principal officer for exchange programs, said the decision was expected to facilitate and increase student mobility across the region. Association of Southeast Asian Nations (ASEAN): Empowering lives through education – The Star (Philippines), May 27, 2016 – The Work Plan on Education 2016-2020 will guide cooperation in education over the next five years, and will unify all collaborative efforts on education between Asean dialogue partners and various international organisations, including entities that support Asean…. The promotion of academic and workforce mobility were also addressed, with the endorsement of the Asean Qualifications Reference Framework (AQRF) Governance and Structure as the first step to harmonise higher education as well as TVET. Today’s “free trade” agenda is utopian, social-planning nonsense. Its supporters are either naive at best or deviously deceptive. They can’t win an open debate in the marketplace of ideas because they ignore historical lessons warning against expansive umbrella jurisdictions, or deny they exist, until they become overbearing geopolitical monstrosities like the European Union. They use denial, deception and euphemisms to start an incremental process toward their objective. They then stack the deck with the consequential chaos of their Machiavellian “free flow” of people across open borders, tugging at heartstrings by using the children of chaos as pawns to allow the chaos to continue. Ultimately, they hope national populations will perceive that the only way to stop the chaos would be acquiescence to an EU-style economic/political/social order. Yes, it is delusional, and will never be sustainable, but their pursuit of a utopian dream is today’s real nightmare for us all.